Kevin is originally from Laurens, SC. He is a graduate of Presbyterian College (BA-Religion & Christian Education) and Union Theological Seminary and the Presbyterian School of Christian Education (MDiv. and Master in Christian Education). Kevin is currently serving a two-year term as President of the Presbyterian Church Camp and Conference Association (PCCCA). 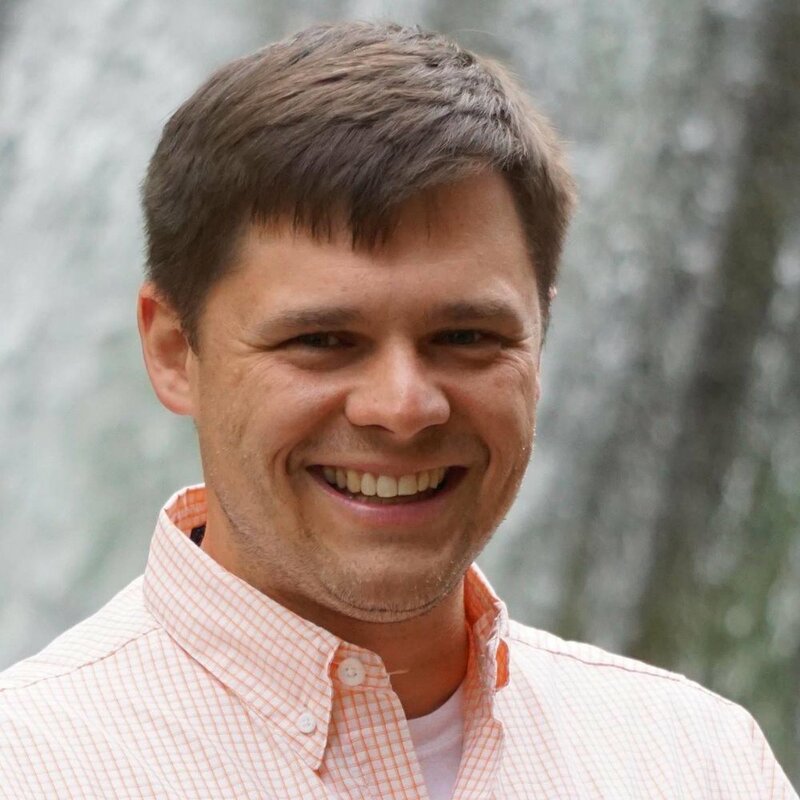 As an ordained Presbyterian Pastor, Kevin enjoys teaching, preaching, and weaving worship, education, and Christian hospitality into the day-to-day life of this ministry. Emily is originally from Blythewood, SC, and now resides in Greenwood, SC. She is a graduate of Clemson University and holds a B.A. in Sociology and a Minor in Food Science. Emily is a child of Trinity Presbytery and spent time as a camper and counselor at Camp Fellowship. She has a passion for outdoor ministry and enjoys creating new and exciting programs for all guests. Kathy, a Greenwood native, is a graduate of Clemson University with a B.S. degree in Administrative Management and a graduate degree in Bank Marketing from the University of Colorado in Boulder, CO. Felder’s banking career spanned over 25 years after which she formed Strategic Solutions, LLC a bank consulting company. In 2009, Felder and her daughter Connor, returned to Greenwood to help care for her aging parents. Since returning to Greenwood, Felder has stayed involved in the community working several part-time jobs. She is currently the Office Administrator for Westminster Presbyterian Church and the Registrar at Fellowship Camp and Conference Center. Elliott is a 4 year old golden retriever and LOVES her job at camp. During the day, Elliott will visit cabin groups to say hello, and at night she makes her rounds to tuck campers in. Sometimes campers even spend time reading to Elliott. She is very friendly, but understands if you would rather keep your distance.